The recent extraordinary assembly of the Synod of Bishops on the theme “Pastoral Challenges of the Family in the Context of Evangelization” will be remembered as a milestone in the history of the Church. At this world gathering of Catholic Church leaders Synod, Pope Francis invited the universal Church to journey together and reflect on the joys and hopes, dark moments and light moments of what it means to be family today. 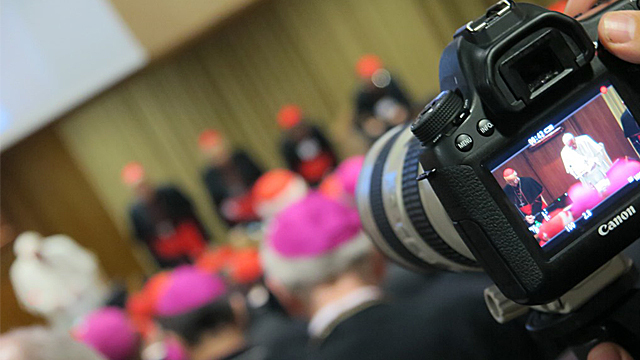 Salt and Light Catholic Television Network played a lead role in documenting this synod on a daily basis. Our own CEO, Fr. Thomas Rosica, CSB, served as the English language Vatican spokesperson for the Synod. Three of our young producers, Sebastian Gomes, Charles LeBourgeois and Rodney Leung were inside the Synod and did the daily interviews and video summaries for television networks around the world. 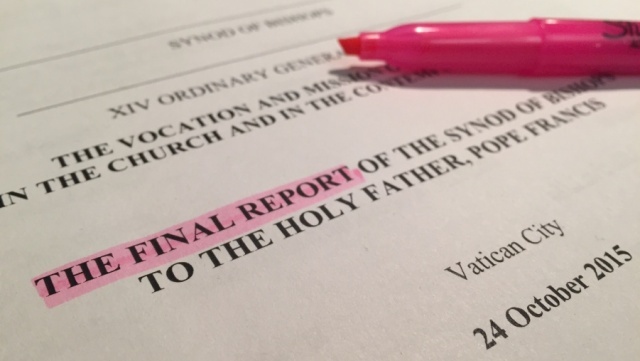 Pope Francis has asked dioceses around the world to share the story of the Synod and carefully study the final document of this Extraordinary Synod, which now serves as the working document for the major Synod on the Family that will take place between October 4-25, 2015 . 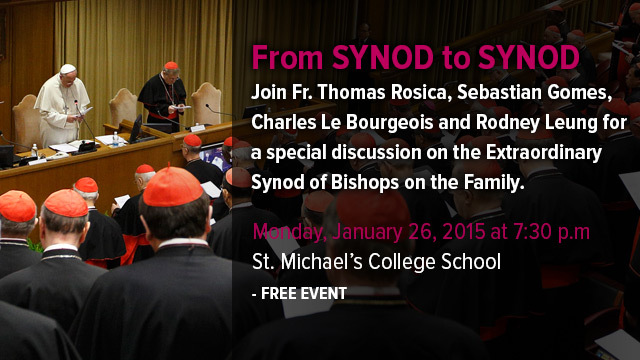 I would like to invite you to a special event on the Synod, on Monday, January 26, 2015 at 7:30 p.m. in the theater of St. Michael’s College School, 1515 Bathurst Street, Toronto, Ontario. Parking is available behind the school. As chair of Salt and Light Catholic Television Network and on behalf of our Board of Directors, we are honored to offer presentations by Fr. 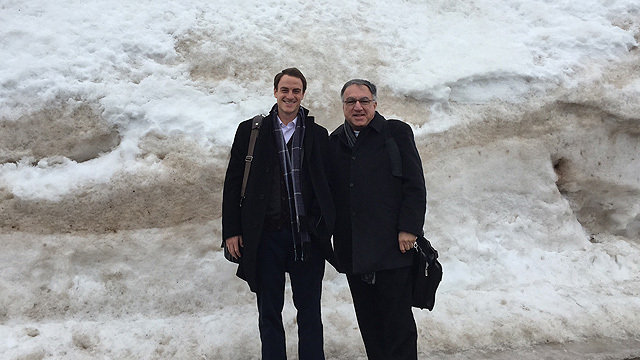 Thomas Rosica and producer Sebastian Gomes to share with us the findings of the recent Extraordinary Synod of Bishops, present the working document for next year’s Synod and consider the new directions and vision of Pope Francis for the Church. We will also have the opportunity to view some of the key filmed moments of the past Synod of Bishops prepared by Salt and Light Television. A reception will follow the 90-minute presentation. For more information, contact Sandy Vieira-Gallo at sandy.vieira@stjoseph.com or 905-660-3111, ext 328. 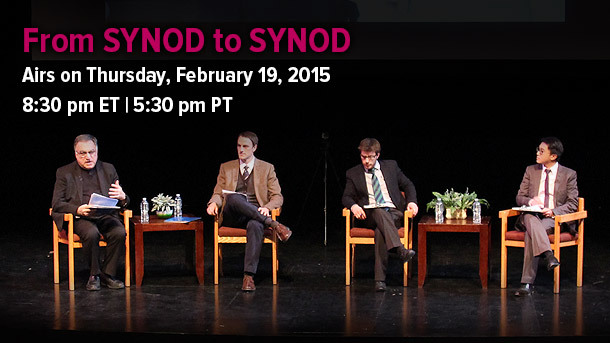 We hope you can join us for a true behind-the-scenes rare opportunity to explore this milestone for the Catholic Church.